You can push some of that weather our way Pat, it's snowing again here. A prefect image for a pretty Easter card. A beautiful card Pat. Very springlike and just what we all need just now. Great coloring job especially with the shadow behind the flowers. Thanks for joining us at DigiStamps4Joy for this challenge. Great coloring and a perfect Easter card. Thanks for joining us in the Creative Belli Challenge. 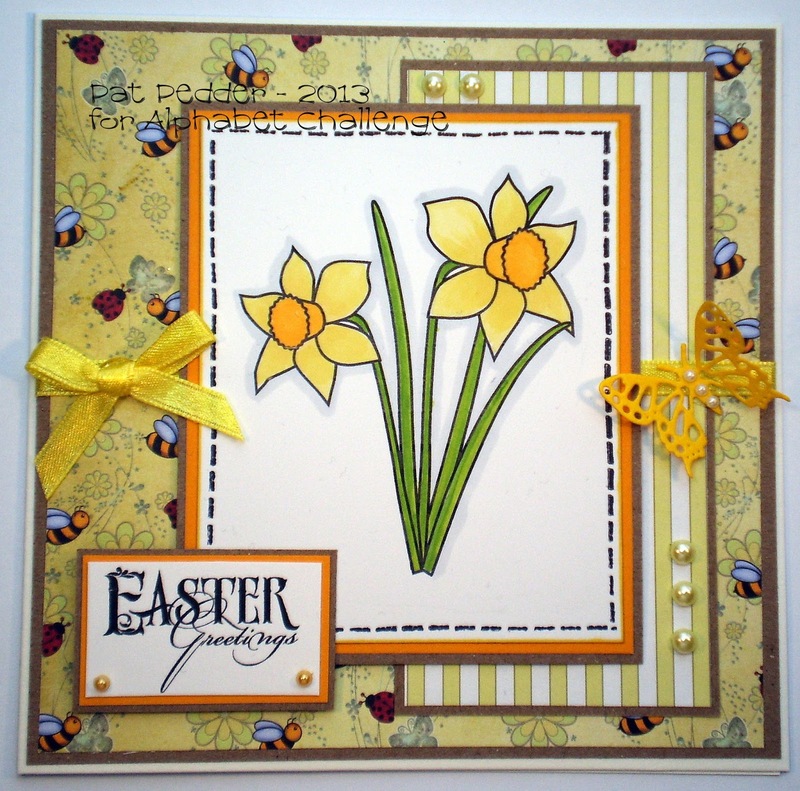 Gorgeous, love the daffodils and the background paper is just darling. :) Thanks for joining us at Dilly Beans. Very pretty card! Thanks for joining us at Inky Impressions. 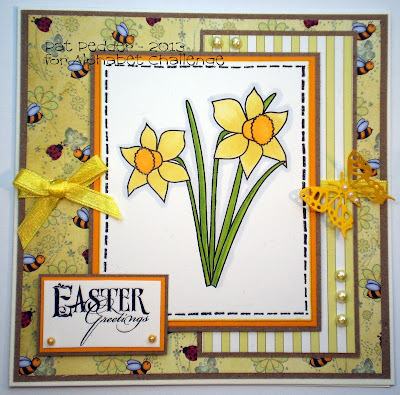 Beautiful yellow daffodils, perfect for our Spring challenge at CC&CC. I really like the background paper with the little bees, so cute! Thanx for playing along with us, Joanne.